"I have been lucky to do a few assignments for Scientific American over the last couple of years, and they always have fun subject matter to illustrate. However, I did not see an article about video games coming! 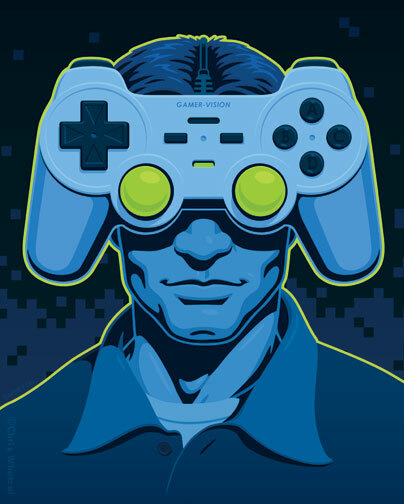 As an avid gamer (and basically a full-time one during my childhood), it was a pleasure to illustrate this article as well as to learn a great deal from reading it. 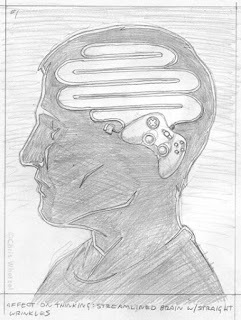 Evidence is starting to become apparent that video games can actually improve one's visual reflexes and mental processing speed; several books have already been published about these effects, and they are being weighed against the criticisms that video games lead to violent behavior, lethargy, and malaise. 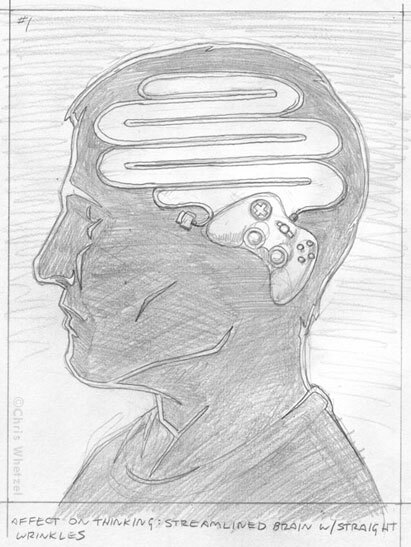 Since the article was subjectively leaning towards the benefits of gaming, I focused on their "improvements of the self." #1: Effect on thinking shown as streamlined brain wrinkles made from controller wire. #2: Effect on one's ability to process more visual information than a non-gamer shown as additional set of digital eyes. 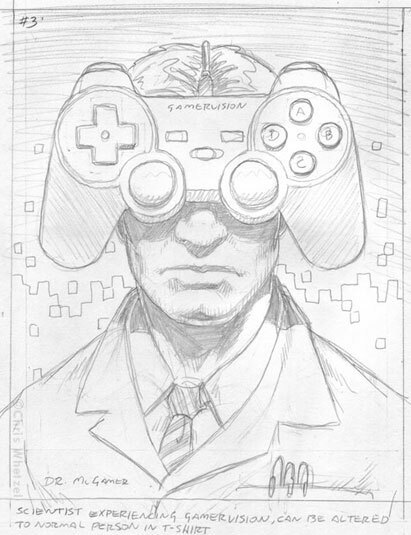 #3: Focusing on the research of the article, this sketch depicted a researcher "seeing" the benefits of "gamer-vision." 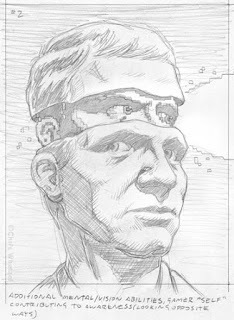 I was hoping to allude to night-vision goggles and how they enhance our vision.